Here at American Dental Care of Newark, our top priority is to properly maintain your teeth’s health through cleaning, repairs, and other preventative dental measures. However, sometimes it’s in your best interest for your teeth to be extracted from your mouth. This could be because your tooth has become severely damaged by decay or trauma. Also, patients may need extractions to make space for adult teeth for an upcoming orthodontic treatment. Maybe your child has a baby tooth that refuses to fall out. Regardless of the reason, our team of dentists can help. When you call to have one of our experienced dentists remove the tooth, you’re taking the right steps to relieve pain. Once removed, we’ll create a plan on how to best fill the missing tooth. We could use anything from a dental bridge and implant, or denture. A tooth extraction, or removal, is a dental surgery that may sound intimidating but is actually a relatively easy procedure. What can make this minor surgery difficult is the location of the tooth. For example, a molar that is positioned in the back of a patient’s mouth with multiple roots is much more difficult to remove than a front tooth with just a single root. If you have an impacted wisdom tooth that is surrounded by gum tissue below the surface, a tooth extraction or removal is usually recommended. A wisdom tooth is unable to fully erupt when other teeth are obstructing its path. This issue generally impacts those in their late teens as well as young adults. Your wisdom teeth could not be growing in at the proper angle, which then damages other teeth and anatomical structures in your jaw. Your jaw could be too small to accommodate all of your teeth, making it difficult for your teeth to grow from your gums. If wisdom teeth don’t emerge from the gums, they’re a severe risk for bacterial infections. Cysts can develop around an unerupted wisdom tooth causing an infection as well as injuring any adjacent nerve tissues or bones. Having wisdom teeth effectively removed helps prevent problems in the future, along with alleviating pain associated with this dental issue. 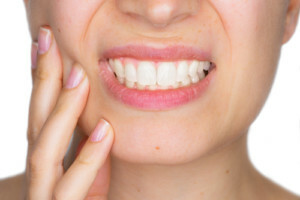 If you continuously ignore an impacted wisdom tooth or any other dental problem, you then run the risk of requiring emergency dental services down the road. Not only can it be more costly to wait but also more painful. If you live near East Orange, Newark, or Irvington, NJ and need wisdom tooth removal call American Dental Care of Newark. With a team consisting of some of the best root canal dentists in the area, American Dental Care of Newark ensures that all patients are comfortable under local anesthesia while the procedure is performed. After the root canal is completed, we’ll apply gauze and some light pressure to stop the bleeding before you are on your way. Whether you require a tooth extraction, dental fillings, teeth cleaning, or any other dental cosmetics services in East Orange, Newark, or Irvington, NJ, contact American Dental Care of Newark today at 973-453-9088.